Visit Serbian Orthodox Church and Catacomb Church for their historical value. Step out of the city life by going to Breakaways Conservation Park and Coober Pedy Opal Fields Golf Course. There's much more to do: identify plant and animal life at Josephine's Gallery & Kangaroo Orphanage, appreciate the history behind The Big Miner, pause for some serene contemplation at St Peter & Pauls underground Catholic Church, and stop by Seven Stones Designer Jewellers. For other places to visit, maps, ratings, and tourist information, use the Coober Pedy visit planner. Manchester, UK to Coober Pedy is an approximately 34-hour flight. Traveling from Manchester to Coober Pedy, you'll lose 9 hours due to the time zone difference. Expect a bit warmer weather when traveling from Manchester in September: highs in Coober Pedy hover around 28°C, while lows dip to 12°C. Finish your sightseeing early on the 14th (Sat) to allow enough time to travel to Port Lincoln. Visiting Shark Diving and Lincoln National Park will get you outdoors. Visit Fishery Bay and Sleaford Bay for some beach relaxation. It doesn't end there: explore and take pictures at Winter Hill Lookout. To see reviews, ratings, and tourist information, you can read our Port Lincoln road trip tool . Traveling by flight from Coober Pedy to Port Lincoln takes 5 hours. Alternatively, you can drive; or take a bus. Finish up your sightseeing early on the 17th (Tue) so you can travel to Kangaroo Island. Escape the urban bustle at Flinders Chase National Park and Browns Beach. You'll get in some beach time at Stokes Beach and Island Beach. There's much more to do: identify plant and animal life at Seal Bay Conservation Park, brush up on your knowledge of spirits at Kangaroo Island Spirits, and admire nature's wide array of creatures at Kangaroo Island Wildlife Park. For ratings, reviews, photos, and more tourist information, read Kangaroo Island online driving holiday planner . Traveling by flight from Port Lincoln to Kangaroo Island takes 3 hours. Alternatively, you can do a combination of car and ferry; or do a combination of bus, ferry, and taxi. Wrap up your sightseeing on the 21st (Sat) to allow time to travel to Victor Harbor. Victor Harbor is a town in South Australia on the south coast of the Fleurieu Peninsula, about 80 km south of the centre of Adelaide. Step out of the city life by going to Aldinga Beach and Carrickalinga Beach. You'll enjoy a bit of beach vacationing at Deep Creek Conservation Park and Blowhole Beach. 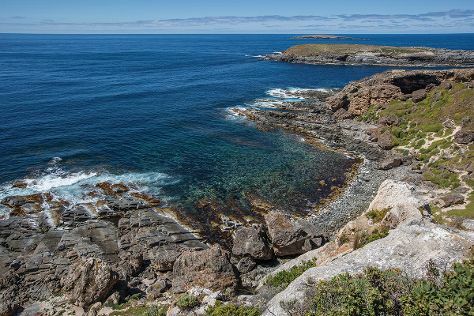 Explore the numerous day-trip ideas around Victor Harbor: Maslin Beach (in Maslin Beach) and Nan Hai Pu Tuo Temple (in Sellicks Hill). Next up on the itinerary: kick back and relax at Horseshoe Bay and view the masterpieces at Mt Jagged Wines. To see more things to do, traveler tips, photos, and tourist information, go to the Victor Harbor trip planning website . You can do a combination of car and ferry from Kangaroo Island to Victor Harbor in 2.5 hours. Alternatively, you can do a combination of bus and ferry. In September in Victor Harbor, expect temperatures between 22°C during the day and 11°C at night. Finish your sightseeing early on the 24th (Tue) so you can drive to Adelaide. 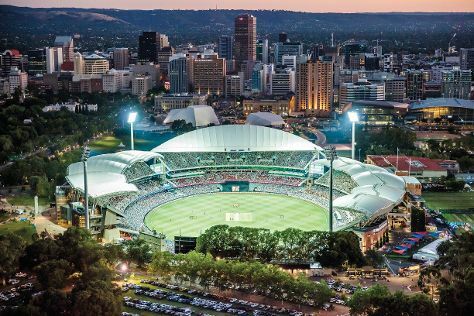 Your inner history buff will appreciate Adelaide Oval and ISKCON Adelaide. Get in touch with nature at Henley Beach and Adelaide Zoo. When in Adelaide, make a side trip to see The Cedars in Hahndorf, approximately 30 minutes away. Dedicate the 28th (Sat) to wine at some of the top wineries in the area. The adventure continues: tour the pleasant surroundings at Glenelg Beach, admire the landmark architecture of General Post Office, don't miss a visit to Rundle Mall, and contemplate the long history of Carrick Hill. To find ratings, photos, other places to visit, and other tourist information, read our Adelaide tour planner . Traveling by car from Victor Harbor to Adelaide takes 1.5 hours. Alternatively, you can take a bus; or do a combination of bus and train. In September in Adelaide, expect temperatures between 21°C during the day and 11°C at night. Finish up your sightseeing early on the 29th (Sun) so you can travel back home.